I'm trying to do a few simple posts to get back in the groove of blogging again. ;) Taking time off and being sick has really thrown me off! If I owe you an email or haven't replied to a comment, I swear I am going to I just haven't mustered up energy to sit down and reply yet. I am getting there though ♥ Anyways, a quick post today with Kleancolor Blue Eyed Girls that I have been meaning to swatch for a while now. 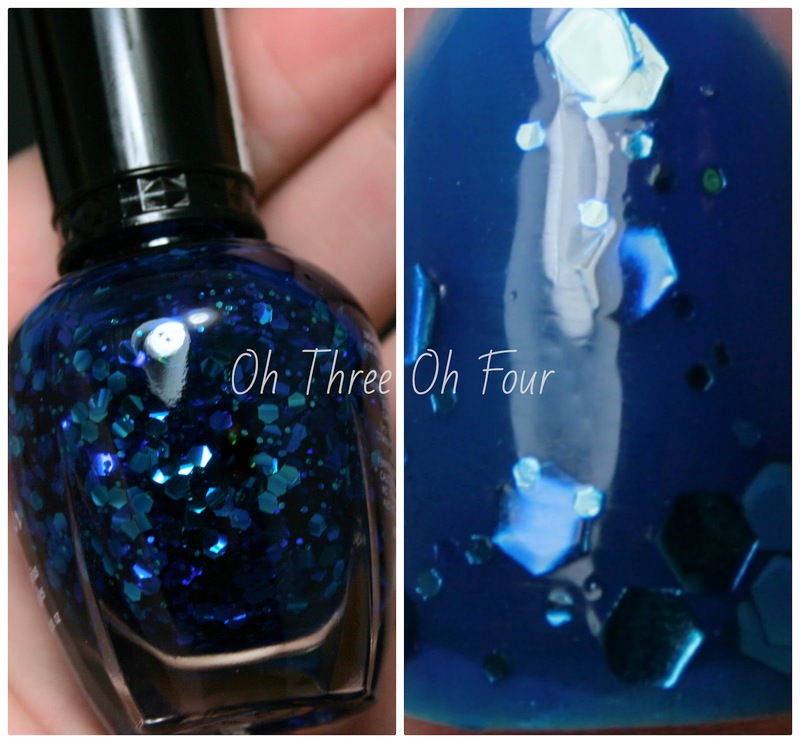 Blue Eyed Girl has a cobalt blue jelly base with large and small hex glitter. All nails are 2 coats with a top coat of Seche Vite. While I love this color, the formula is nothing to write home about. I had to add a little thinner to make it workable because the first coat was like applying jam to my nails. It also took forever to dry, even with Seche Vite (which did cause it to shrink as you can see), and the smell awful. Basically it's beautiful but the formula and smell are very off putting. You can purchase Kleancolor polish online through their shop here and other various online stores like Amazon. I have seen it sold in stores locally at random beauty supply stores. Find Kleancolor on Facebook here and Twitter here.